Origami robots, entangled ions, printed musical instruments. It may sound like something out of the movie Transformers, but MIT and Harvard have created origami robots that be reconfigured using timed sequencing. The robots were built from laser-cut parts using five layers of materials. A layer of etched copper is embedded between two structural layers of paper, with outer layers made of a polymer that folds when heated, according to the schools. A microprocessor is attached to the surface along with small motors. The work was funded by the National Science Foundation, the Wyss Institute for Biologically Inspired Research at Harvard, and the Air Force Office of Scientific Research. 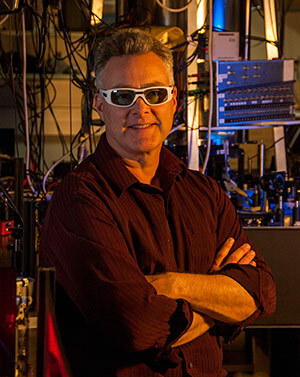 The National Institute of Standards and Technology (NIST) has developed a tunable quantum simulator that can handle enormously complex modeling, and which might be used inside of quantum computers in the future. NIST says researchers coaxed beryllium ions in separate zones into an entangled state by manipulating their electric interactions. The agency claims this is a breakthrough. It also says that it now has enough granularity in its microfabricated trap technology to be able to simulate the behavior of complex quantum materials. 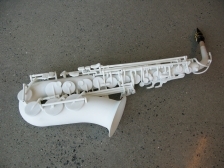 Sweden’s Lund Unversity has printed a saxophone using a 3D printer. The sax was printed in nylon from 41 components, according to Professor Olaf Diegel, about one-fourth the weight of a metal instrument. He said the next version will look better, because 3D printing enables the creation of shapes that are impossible using traditional manufacturing. Diegel has previously printed other musical instruments, including guitars.